Hello, Coloradans! It’s nearly winter here again in the Centennial state, but it feels like yesterday that we were preparing for last winter! It’s recently come to our attention that we haven’t talked about the different types of deck drainage systems there are out there in quite some time, so it may be a good idea to a bit of a refresher, especially considering fall is a great time of year to get a deck drain installed. In a matter of months, we’ll be seeing heavy snowfall and you’re going to want all this melting water to move away from your under deck area. 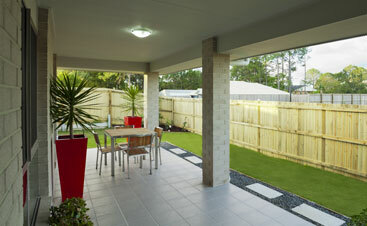 In this blog, we’re going to help you decide what type of deck drainage is best for you. 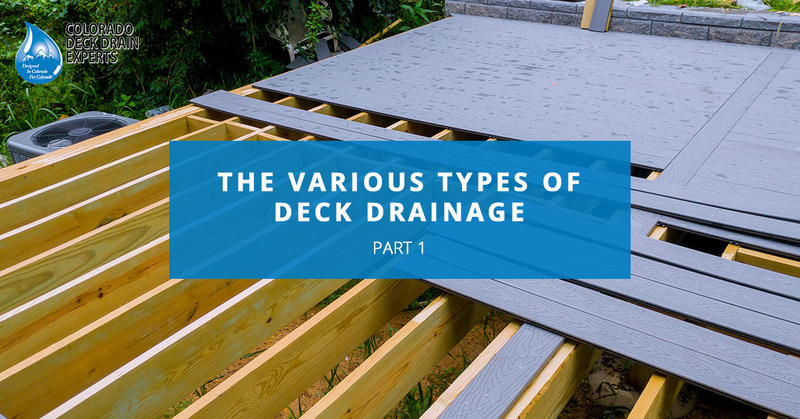 Just judging by the sheer amount of manufacturers there are producing under-deck drainage systems and the number of contractors installing them, it’s no surprise they’re a great option for just about any deck out there. 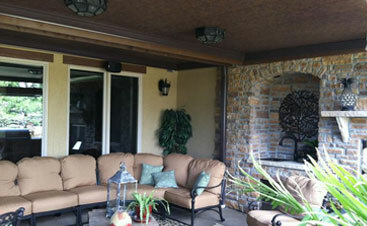 These drainage systems work by capturing water and moving it to the gutter on either side of the home. 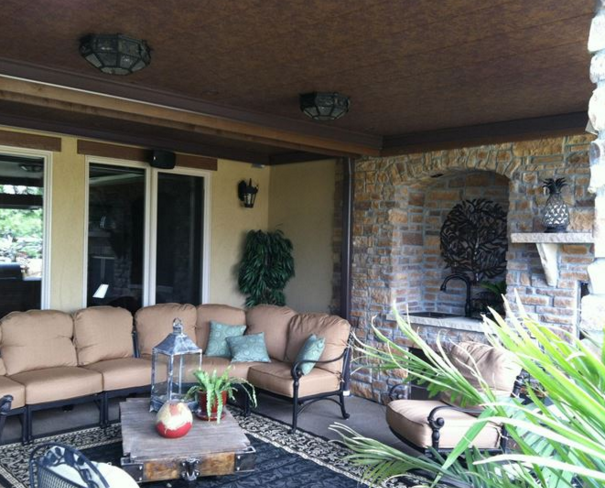 When these systems are in full effect, they keep the lower deck area perfectly dry all year long, allowing you to use it for storage or as a patio. Although some installers use their own custom-cut drainage systems, most buy from a manufacturer and just charge for installation services. There are two types of under-deck drains that you should be aware of: ones that are installed above the joists and ones that are installed below the joists. There are several unique benefits to each of these. 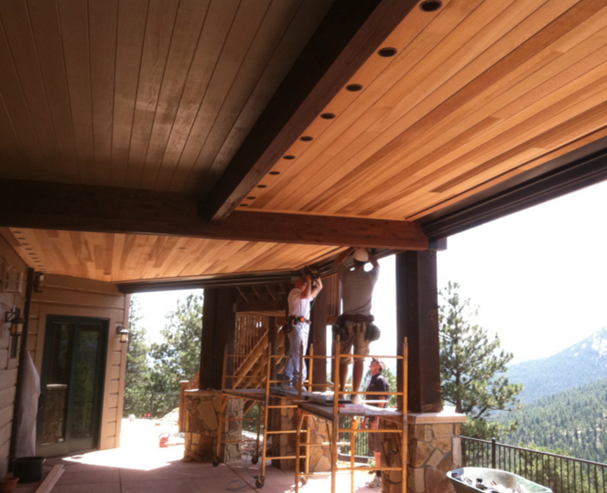 Under-deck drainage systems installed above the joists use a rubberized membrane that hangs down into each joist bay. The membrane pieces are designed so that they can be fastened to the top of the joists and slope enough to carry the water to a drainage point. What complicates this process is that decking needs to be removed to have it installed. However, even with the added struggle, these systems are very effective at what they do, and in most cases, will last as long as the deck itself making it well worth the investment. Another thing to note about these type of under-deck drainage systems is that they are 100 percent concealed meaning you can put any type or fashion of material you like on the bottom of the joists and even accommodate ceiling fans or lights if you choose. It’s important to note, however, that any electrical components that you add under your under-deck drainage system will need to be UL-approved. 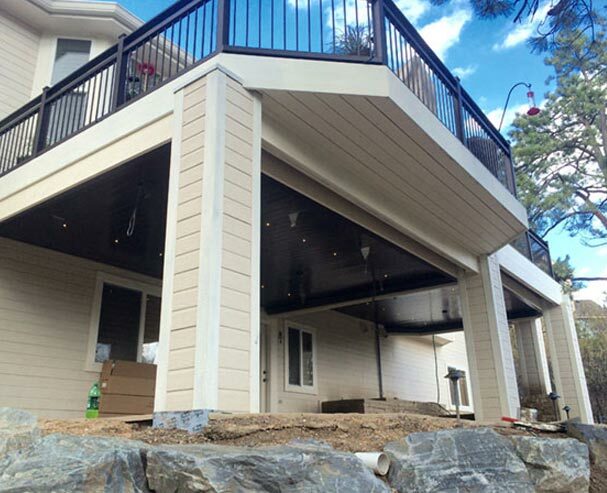 Here at Colorado Deck Drain Experts, we offer high-quality under-deck drainage systems that can be applied to just about any upper deck and will keep your underdeck area dry all year long. 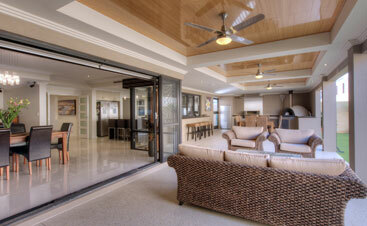 We believe that under-deck drainage is the best possible deck drain option out there. Give us a call today or read part two of this blog to learn about several other drainage systems out there.